Since this was my first AK-47 I thought I would get some pictures of these fine rifles. These aren't mine but I do Wish I still had mine. Last edited by recon; 08-20-2012 at 10:09 PM. Yours? If I remember it was back in 1983 or 84 I got my Clayco. There for the bayonet scabbard. They clasp on to it. To attach to a belt when off the rifle? Yes. I need to find a picture of it somewhere. I received mine around '83 in the full stock yellow wood 00057. Every part inside and out was numbered 057 or 57 hammer trigger sight ladder everything. At the time and for severalyears it was the best made AK I had see onther than the Egyptian MAADE. Sold it to a guy who took i to Kona and lost it. Fathom the odd hypocrisy that Obama wants every citizen to prove they are insured; but, people don't have to prove they are citizens"
Welcome to the group RMA !!! 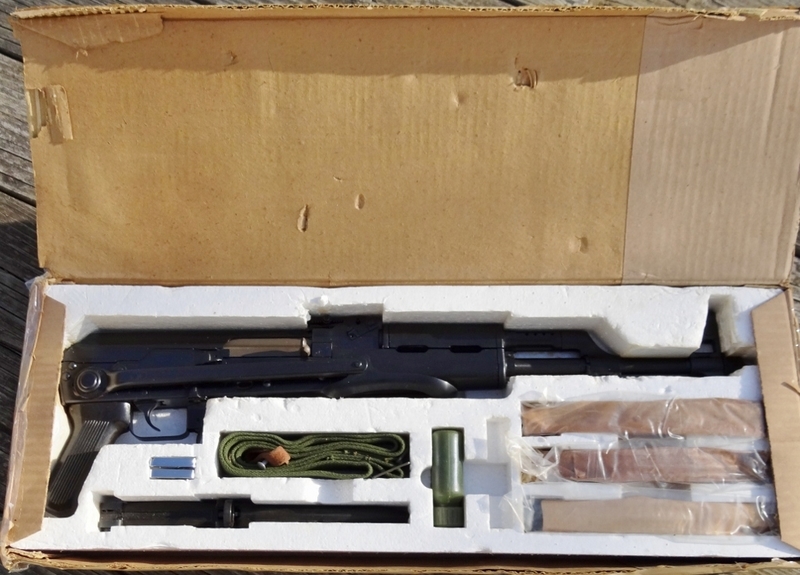 That rifle, with no box or anything went for $2650 but was bought by a newbie. I plan on watching the closed auction and seeing if the seller gets feedback. Makes me want to open my safe, and give mine a great big hug! Wow! $2650 for a Chinese Clayco Folder? Go figure! 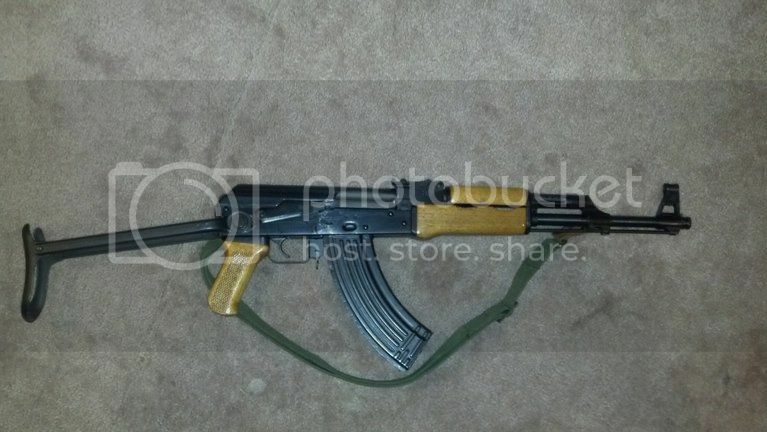 Oh and welcome RMA to the AK-47 site. Thanks again for the warm welcomes on here guys. I only own hi end 1911's along with HK's so I would like to add one AK to the stable & was hoping on a good one at least. I hear the Clayco's are one of the top choices. Along with the Russain ones as well but not too read up on either. Claycos would be at the top of the collectible AK ladder, but they would be shared by Poly Tech Legends, Poly Tech double underfolders (bayo and stock), and the pre-ban Kassnar import SA-85M. The only "real Russian" AKs in the country are true Kalashnikovs that were registered before the illegal machine gun ban of 1986, and there are only a handful of them in the country. VEPRs and Saigas are close as they are Russian made but they are more RPK than AK. $2650 for a used CLAYCO????!!!! Some people have more money than brains! Thanks for the advice, I imagine a real Russain MG reg before the ban would fetch for well over $20k being I had seen some Chinese conversions fetch for $16k & up. 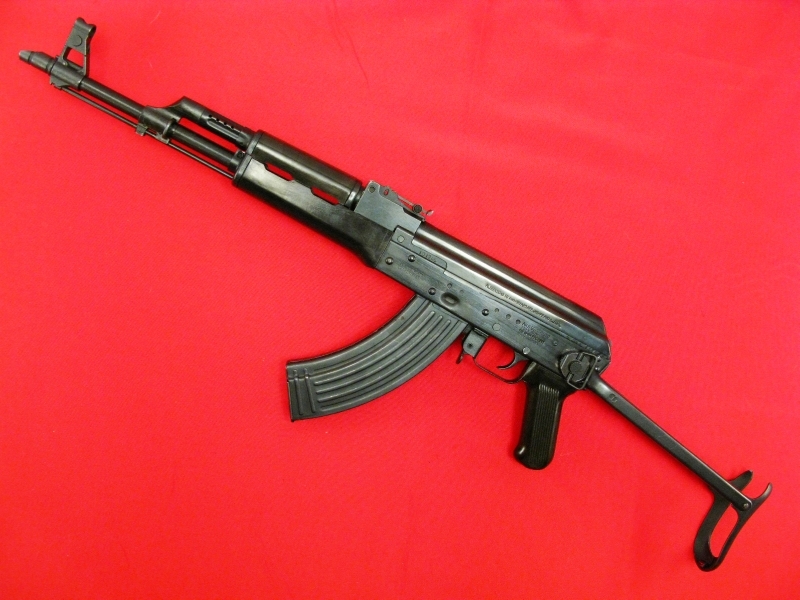 I saw and fondled a true Avtomat Kalashnikova, a Vietnam bring-back that was registered per that illegal ban. It was all original and the seller was asking only $50,000!!!!! 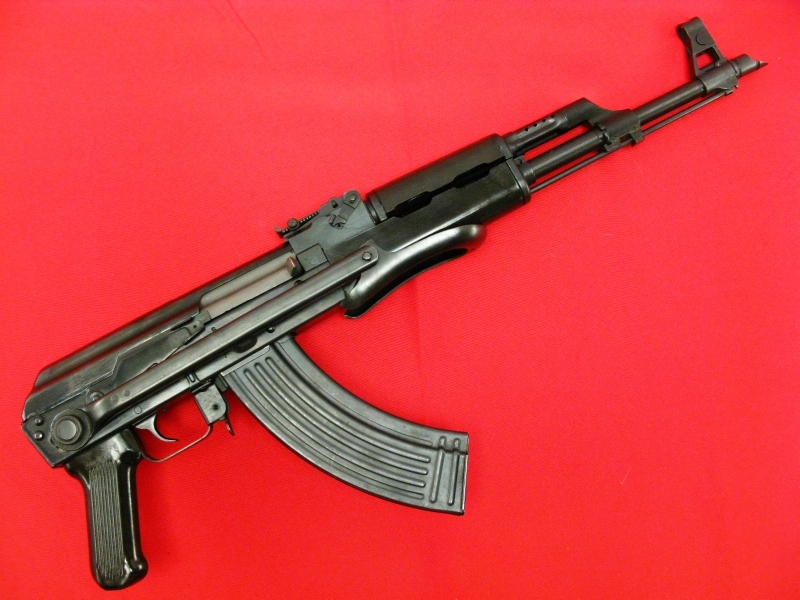 Reak AKs (per the Soviets they were never called AK-47, that was an American thing that even Mr. K. himself was caught repeating) in this country that are in the hands of private collectors can probably be counted on your fingers. I would really love to have some rights that would allow me to own a true AK, but since the constitution is nothing more than an old piece of paper anymore that will likely happen. That's what mine looked like when I bought it for a grand back in '06, with the box and all the trimmings (I'm the 3rd owner, no paper). $2600! What a return on investment that would be, eh? I've got the original stocks and grip still in the box, but I put some original Chinese wood on her for looks. I also replaced the mags that came with it with chrome follower Polytech mags. The date in the owners manual says '7/85'. Mine has about 1K rds down the pipe and hasn't been shot since '07 because I noticed the folder was starting to wobble a little.